Summer is drawing to a close when the goldenrod begins to bloom. There are many signs of the end of summer. I've seen a few early trees showing fall color already. 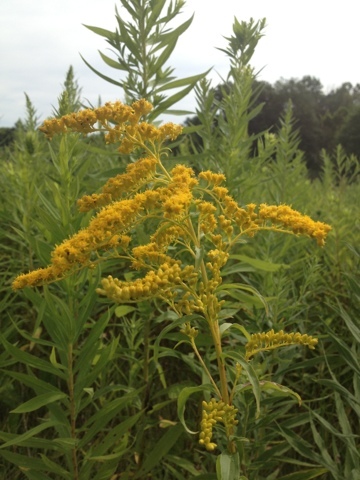 If the goldenrod's out, can the ragweed be far behind? That's a sure sign summer's winding down...achoo-o-o!